The carrier has cut its 2019 full-year guidance by 12% due to higher oil prices, higher costs in the EU and weaker fares due to recent strikes. Ryanair today lowered its full-year profit guidance from a current range of €1.25 billion to €1.35 billion, to a new range of €1.10 billion to €1.20 billion. Listing the factors that have led to the move, the airline cited lower traffic and weaker fares in September caused by two days of coordinated pilot and cabin crew strikes in Germany, the Netherlands, Belgium, Spain and Portugal. It also blamed lower Q3 fares as forward bookings – particularly for the October school mid-term holidays and Christmas – and customer confidence take a hit from the fear of further strikes. Then there are higher EU261 compensation care and re-accommodation costs arising from these recent strikes, plus higher prices for Ryanair’s unhedged fuel – up 10% due to rising oil prices. 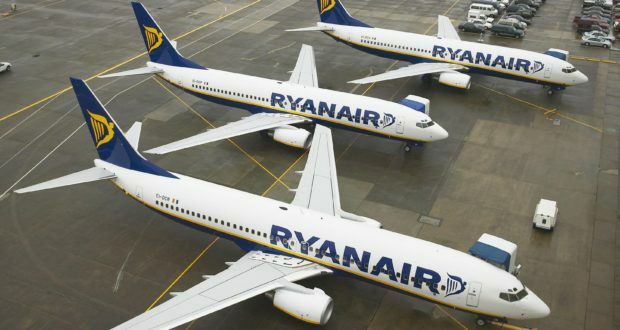 Ryanair noted that Q2 and Q3 traffic and fares will be “somewhat lower than expected” largely as a result of the recent strikes, which, it repeated, “are being incited by competitor employees”. This is, it added, “despite the fact that Ryanair has agreed to meet union demands for local contracts, local law and a five-week arbitration with pilots in Germany when the VC union sought a prolonged five-month arbitration”. “While we successfully managed five strikes by 25% of our Irish pilots this summer, two recent coordinated strikes by cabin crew and pilots across five EU countries have affected passenger numbers – through flight cancellations – close in bookings and yields – as we re-accommodate disrupted passengers – and forward air fares into Q3,” Ryanair CEO Michael O’Leary commented. Like a number of other EU airlines, Ryanair has opted to trim its winter 2018 capacity, by 1%, in response to this lower fare, higher oil and higher EU261 cost environment. Among its “modest winter cuts”, all to take place from November, its four-aircraft Eindhoven base will close, although most of the routes will continue on overseas-based aircraft. Its two-aircraft Bremen base will also close, and its five-aircraft Niederrhein base will be cut to three planes. Staff in parts of the company’s cross-border operations clearly do not agree with the airline when it says it is doing all it can to meet staff demands, since the threat of further strikes remains. The BBC quotes David Madden, an analyst at CMC Markets, as saying that it is Ryanair’s aggressive stance that is having a negative impact on its business. But since then, shares have lost 38% of their value.